Residential Air Conditioning Service – ACS Mechanical Services, Inc.
Having serviced areas of the Gulf Coast since 1977, we’ve seen the challenges that our climate as well as the flora and fauna can present. 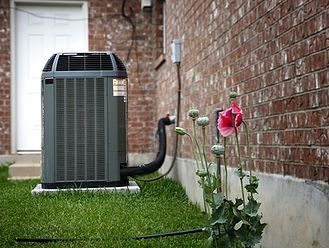 From extreme instances of snakes in condensing units to your regular maintenance needs, ACS can help resolve current issues and aid in the prevention of future ones to keep your home air conditioning and heating running smoothly. We understand that living conditions in Houston make air conditioning a necessity and when yours goes out, it’s an emergency. We also understand that these things happen at inopportune times and appointments may not have been made prior to the incident. If this occurs, please contact us immediately so we are able to resolve your issues and get you back on track with your day. For regular maintenance needs, please schedule ahead of time. ACS Mechanical Services acknowledges that it is our craftsmanship that separates us from the competition. Thorough testing, crew supervision and attention to detail are not just claims, they are fact. We have been serving the Greater-Houston Area for over 30 years and it is made evident that our loyal clientele appreciate the quality and dedication to our craft. Many of our clients originated as commercial contract work but extended into our residential market due to our professionalism and high standards and quality. You will find that ACS has extensive experience, unique skill, and firm insight when it comes to custom projects. Yes, we do mainstream residential AC work – we are excellent at installations, maintenance and repairs – but we also have an extensive portfolio of custom projects. When an innovative design or repair solution is needed, ACS has all the experience necessary to resolve the task at hand. You can utilize the “Customer Portal” which will link you to a personalized account that provides your service calls, equipment information, invoices and payments; you can even schedule a service call! If you are interested in a login, please contact us via phone 281-379-7933 or email info@acsmsi.com.